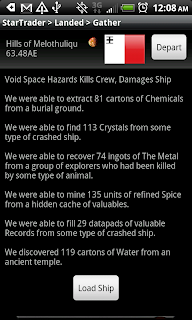 Star Traders RPG 30 Days Old! We noticed that Star Traders RPG has existed for 30 days on the Android Market. We feel like that is a substantial milestone and are happy to see that some people are playing it still.